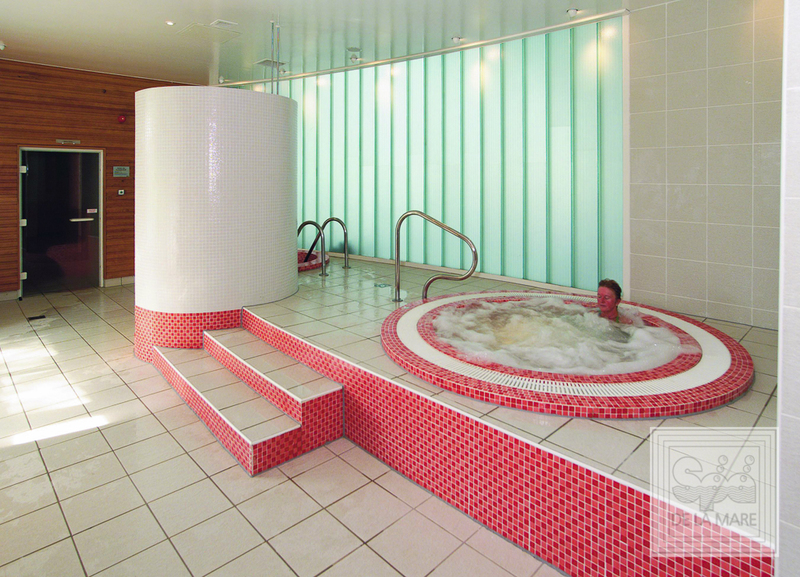 The Commercial Deck Level Caesar available in a mosaic tiled finish in multi-hydrotherapy jet format, offering up to 5 adults the ideal way to spend their leisure time relaxing in invigorating surroundings. The recommended choice for hotels and leisure clubs. Filtration – Filter pump, Commercial airblower, booster pump, electric heater or heat exchanger (exchanges heat from other heat source i.e. gas/oil boiler), sand filter, automatic chemical feeder, timed air control.